Bhaag Johnny girl Mandana Karimi reveals her fitness secrets! 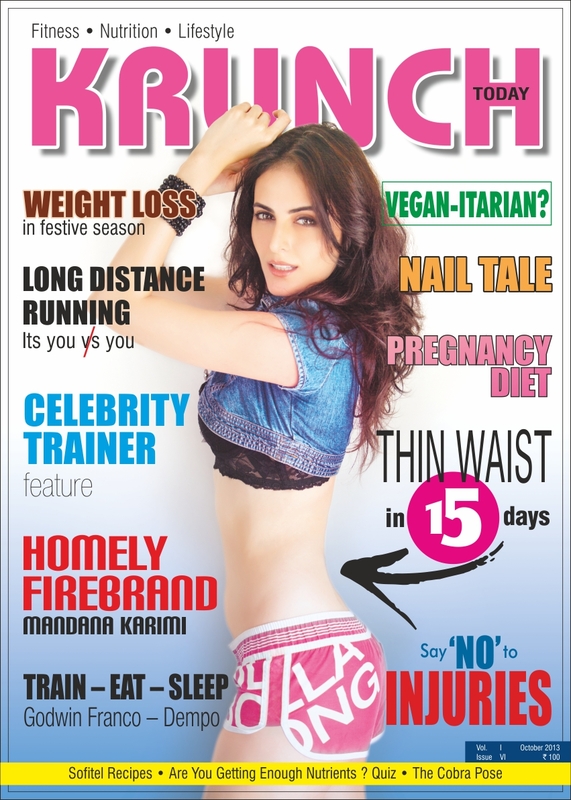 The gorgeous Mandana Karimi who is all set to make her Bollywood debut in Vikram Bhatt’s thriller Bhaag Johnny, has revealed her fitness secrets in a cover feature with Krunch Today magazine this month. The cover girl says she works out four times a week with weights for two days and cardio for two other. When shooting or traveling, Mandana does twenty minutes of online-stimulated workout in her room. “I eat healthy and eat a lot,” she admits. “But I’m very active throughout the day. Plus I don’t mind becoming a bit fuller,” she winks. Bananas, almonds, salmon, dark chocolate and eggs are Mandana’s energy boosters. For a zero-flab diet, the girl recommends eating breakfast regularly and snacking throughout the day; as well as drinking lots of water to keep energy levels high. But what Mandana craves for is a nice meal at her favourite quaint restaurants on weekends. Come Sundays, and she also plays table tennis. Makes us wonder if we can call her a homely firebrand! Jackie Chan once explored comedy within the action genre and won the hearts of millions. Now India is attempting a similar feat, starting off with a humble beginning. 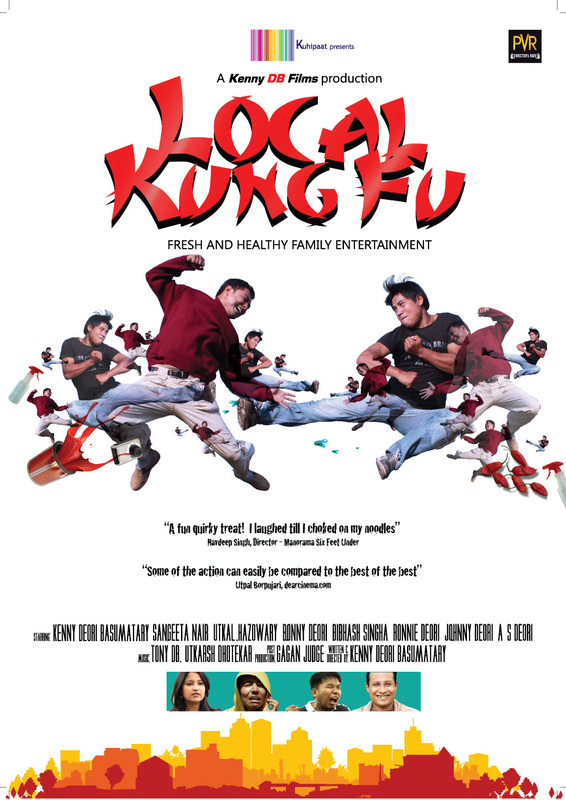 This week, the country will get its first own full-blown ‘martial arts comedy’ in the form of Kenny Basumatary’s Assamese feature film Local Kung Fu which boasts of some fabulously choreographed action sequences amidst rip-roaring humour. What’s more! This is one of the most inexpensive action films ever made, with a budget less than a lakh of rupees! The film’s team neither had a great budget nor the need to use trickery-like wires etc to execute their fights. All the fighters of Local Kung Fu are genuine martial artists who’ve trained for several years. 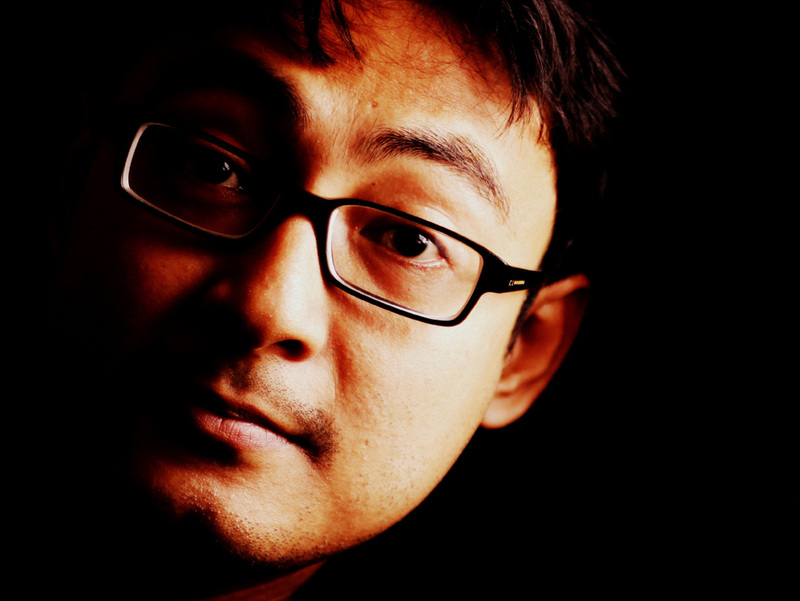 Kenny Basumatary has not only written and directed the film, but also plays the main protagonist along with other cast comprising Utkal Hazowary, Sangeeta Nair, Bonny Deori, Bibhash Sinha, Ronnie Deori, Johny Deori and AS Deori. Come September 27 and Local Kung Fu will release in seven prominent cities in the country with English subtitles for audiences outside Assam. The film will be screened by PVR in Mumbai, Delhi, Pune, Kolkata, Bengaluru, Ahmedabad and Chennai, apart from an independent release in Assam. 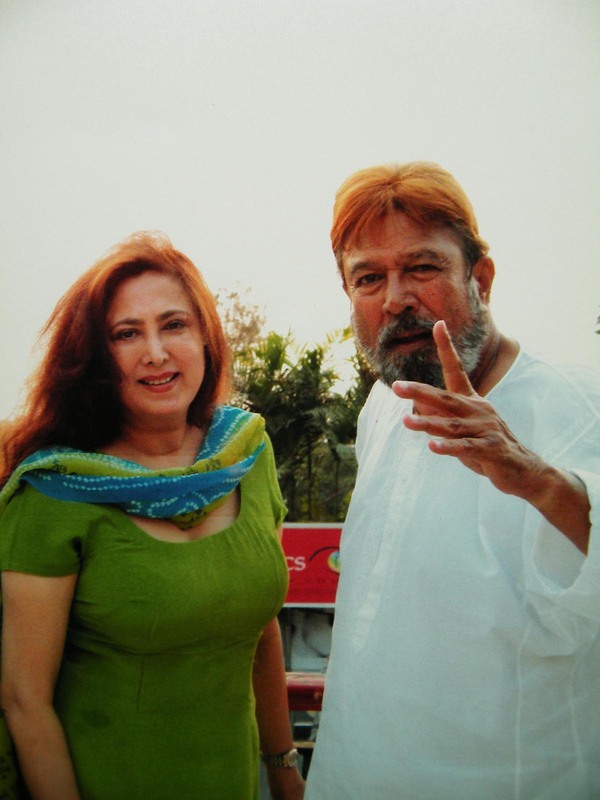 Anita Advani has no agenda for Bigg Boss! When Anita Advani got in touch with Bollywood PR specialist Dale Bhagwagar about Bigg Boss, the best advice he probably gave her was to be herself on the show. “But mind you, she also has a lot of inner strength and can bounce back with great clarity. Basically, she’s a fighter, so don’t underestimate her as a weak contestant just because of the overflowing sentiments or tears,” reveals the publicist. “Anitaji was wondering what could be in store for her in the house of scandal. I could have told her many things to guide her, but all I asked her to be, is herself.” Dale gave this simple advice to her for a reason. For the record, Dale was himself invited as a contestant for BB7, but he chose not to take it up. Now, let’s see how far Anita Advani goes without a PR plan in Bigg Boss. The Yeh Jawaani Hai Deewani actress Evelyn Sharma has heaved a sigh of relief, with Cyber Crime Cell of Lucknow Police, Uttar Pradesh, taking up her case on war footing. Following swift action by the cops, the website has publicly apologized and removed all objectionable content. “Honestly, we did not expect such speed from the cops in resolving the matter. But Mr Dinesh Yadav, nodal officer and head of Cyber Crime Cell in the city was cooperation personified,” reveals Evelyn’s publicist Dale Bhagwagar, who filed the complaint on behalf of the actress. Evelyn was facing constant persecution through falsities in articles by a Lucknow-based website bollygupshup.org run by one Gagan Deep Mishra alias Akash Deep Mishra, when she complained to the cyber cops. Within a span of a week, the website repeatedly attacked the actress with different statements, incorrectly claiming that she had undergone plastic surgery, was part of a film titled Joker, as well as put up a false age, on the pretext of picking content from Wikipedia and IMDB, without verification. Moreover, it ‘tagged’ Evelyn on her Twitter account in the web links of these articles containing the fabricated information, in an apparent attempt to intimidate the actress on social media. The people of Lucknow are known for their tehzeeb (etiquettes). But Yeh Jawaani Hai Deewani actress and fashionista Evelyn Sharma’s experience with a locally run website from the city, has been quite different. Following constant harassment through falsities in articles on a website called bollygupshup.org, Evelyn has filed a complaint with Mr Dinesh Yadav, nodal officer, and head of Cyber Crime Cell of Lucknow Police, Uttar Pradesh. The said website, run by Lucknow-based Gagan Deep Mishra alias Akash Deep Mishra, had put up various articles on Evelyn within a span of a week, attacking her with false statements. They incorrectly claimed that the actress has undergone plastic surgery, was part of a film titled Joker, as well as put up a false age, on the pretext of picking content from Wikipedia and IMDB, without verification. Moreover, the website often ‘tagged’ Evelyn on her Twitter account in the web links of these articles containing the fabricated information, in an apparent attempt to intimidate the actress on social media. Requests for corrections by Evelyn’s publicist Dale Bhagwagar were ignored by the website, after which he filed a complaint with the cyber cops on behalf of the actress. Since Evelyn is residing in Mumbai, the Cyber Crime Investigation Cell (CCIC) in Mumbai has also been informed. The Police complaints may be followed up with legal action for defamation. Salman Khan has a new diehard fan! And this time its an actress! The gorgeous Mandana Karimi, who is set to make her debut in Bollywood with Vikram Bhatt’s Bhaag Johnny, is super-charmed by Sallu’s superbrand Being Human. “She’s keen to find out how she can be associated with Salman’s noble cause in some way or the other,” reveals her publicist Dale Bhagwagar. And if you think Mandana is enamoured by Salman’s looks, marital status or movies, you’re wrong! “All she wants is to reach out and help people grow in their endeavours and be their best. She’s a good soul and thus identifies with Being Human,” Bhagwagar adds. But why the special interest in Salman’s brand? “It’s not about Salman; it’s about the cause he’s been working for. See, Mandana hails from Iran and has seen a lot of conflict and emotional upheavals while growing up. That’s a huge reason why being human comes above everything else in her life,” explains the PR specialist. Now we see the point! Indeed. Rakul Preet’s discipline stems from her army connection! Actress Rakul Preet who is set to make her foray into Bollywood with Yaariyaan; the directorial debut of T-Series’ head honcho Bhushan Kumar’s wife Divya Kumar, has a habit of reaching her sets half an hour before time! When asked about it, she credits her tendency to her army connection. Rakul’s dad is a colonel in the army and she has done her final years of schooling from Army Public School in Delhi. A mathematics graduate, she has studied financial management. “They say discipline is the soul of an army. I have grown up inculcating the values of timeliness, obedience, restraint and commitment. I’m realizing that qualities like these go a long way in shaping life,” she says with dreams in her eyes. Rakul’s family background puts the gal in a unique league of Bollywood beauties like Preity Zinta, Priyanka Chopra, Sushmita Sen, Anushka Sharma, Chitrangada Singh and Lara Dutta; all of whom hail from military backgrounds; with parents posted in various rungs of the military hierarchy. Evelyn Sharma may have turned 23 just a month ago, but a website insists on projecting her as four years older. Bolly Gupshup, the same site which carried a false report by one Gagan Deep Mishra alias Akash Deep Mishra last week stating that Evelyn had done plastic surgery and was part of the film Joker, seems to have cracked up once again. This time round, another fabricated report on the same site has projected Evelyn to be four years older than her age. “When we pointed out their folly, the site blamed Wikipedia as their source for the incorrect information, but ignored our request to correct the error,” informed Evelyn’s publicist Dale Bhagwagar. “We are living in the information age. Practicing such falsities or apparently being vindictive towards an actress could discredit the media in general,” he pointed out, stating that it might take some time before deciding whether to complain to Cyber Crime Investigation Cell (CCIC) of Mumbai Police or take legal action for defamation. Actress and fashionista Evelyn Sharma, who signed five films last year, has gone ahead and bagged one more! The hottie from Nautanki Saala! and the Ranbir Kapoor-starrer Yeh Jawaani Hai Deewani (YJHD) will now be seen in the ‘king of comedy’ David Dhawan’s forthcoming film Main Tera Hero, produced by Bollywood’s gorgeous dream-chasing tycoon Ekta Kapoor. Pitted opposite the Student Of The Year young gun Varun Dhawan, Evelyn will share screen space with Nargis Fakhri (of Rockstar fame), and Ileana D’Cruz (of Barfi! fame). “David Sir approached me because he loved my role in YJHD. I feel privileged to be his first choice for the character,” says a super-thrilled Evelyn. “Come to think of it, Varun Dhawan now has three of superstar Ranbir Kapoor’s hottest girls for himself. That’s no less than a coup of sorts,” points out Evelyn’s publicist Dale Bhagwagar. “This combo, with his movie maverick father David Dhawan at the helm of affairs; combined with Ekta Kapoor’s business and marketing acumen, is a sure-shot blockbuster proposition,” he analyzes. Come 2014, and we sure have a lot to look forward to! Evelyn Sharma loves her all natural figure! An incorrect report on the web has taken the Yeh Jawaani Hai Deewani hottie Evelyn Sharma by total surprise. “I don’t know whether to laugh or cry foul,” she quips! “Anyone in his senses would know that Joker released last year and Evelyn was not part of it. The site seems to be lost in time as well as facts,” points out Evelyn’s publicist Dale Bhagwagar. “Maybe the writer Gagan needs to look Deep into the sky for creative inspiration or stop Joking,” the publicist cheekily laughs it off. Mandana Karimi fantasizes featuring opposite AbRam Shah Rukh Khan! Bhaag Johnny girl Mandana Karimi wants to click herself underwater! Be it Sonam Kapoor, Anushka Sharma, Sonakshi Sinha, Alia Bhatt, Shraddha Kapoor or Parineeti Chopra, the new kids on the block are indeed proving themselves to be a fun-loving and funky yet intelligent lot. Joining the bandwagon this week is Mandana Karimi, the dazzling new face in Vikram Bhatt’s forthcoming film Bhaag Johnny. Mandana, who will feature as a lead alongside Kunal Khemu and Zoa Morani in the movie, is the new cover girl for Stuff magazine’s latest issue, where she has revealed some interesting things. It turns out that one of the most expensive gadgets the girl owns is a water-proof camera. “I’m yet to test it underwater! Maybe, after I buy myself an itsy bitsy teenie weenie yellow polka dot bikini,” she grins. Ooh la la! We’ll sure wait for that one! More on the techno side, Mandana reveals she has a fascination for a big futuristic television set for her living room. “It should be a Full HD web-connected TV, preferably with stereoscopic 3D,” she quips, saying she’s already saving up for something like that. Atta girl!